DeShawn joined Clawson and Staubes in 2018, and he practices with the firm’s litigation group. 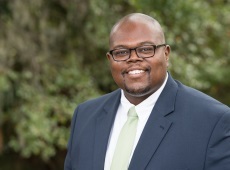 DeShawn earned a Bachelor of Arts degree from the University of South Carolina and a Juris Doctor degree from Western Michigan University Cooley Law School. While in law school, DeShawn was a member of the Moot Court Board. Prior to joining Clawson and Staubes, DeShawn worked at the South Carolina Attorney General’s Office as an Assistant Attorney General. During his tenure at the Attorney General’s Office, DeShawn represented the State of South Carolina at the circuit court level and also in appellate matters before the South Carolina Court of Appeals and Supreme Court. DeShawn has also previously practiced in the areas of criminal, civil, and real estate law. He is licensed to practice in South Carolina and the United States District Court, District of South Carolina. Outside of the office, DeShawn enjoys spending time with family, friends, traveling and rooting for his Gamecocks.